In recent years, buying a house or an apartment by the Adriatic Sea is not unusual for people living in the Central or Western Europe. Since 2009 citizens of the European Union can buy real property directly, both as physical and legal entities. However, it is still true that the property needs to be inspected thoroughly before buying in order to avoid unpleasant surprises, when you find out after signing a contract arranged by unreliable real estate agents that the real property was built without the required permissions, etc. Rellox specializes in foreign real properties and has many years of experience and a network of trustworthy partners; it can therefore ensure that the purchase of the real property will go smoothly and without complications. For more detailed information on buying a house or an apartment at the Adriatic Sea visit the site Real estates and properties in Croatia. Five-star hotel Radisson Blu is one of the most modern resorts in Dalmatia. Several of these apartments are for sale. The owners can use the apartment for own recreation and also rent it via an administration company and thus obtain interesting incomes from the lease. Clear sea, beautiful beach, complex services of a hotel resort, including restaurant, shops, spa & wellness, tennis courts, etc. » View detailed information about the property. A newly built residence contains 12 one- or two-bedroom apartments. Each apartment includes a terrace or balcony. Ground floor apartments include a garden with a size of 85 m2. Apartments in the top floor are designed as two-storey maisonettes with inside stairs. High standards of interiors, which can be furnished upon request. One of the most beautiful beaches of the island, located only 5 minutes away, as well as the city center. Apartment owners will receive a VIP card for discounts in selected companies in Hvar. 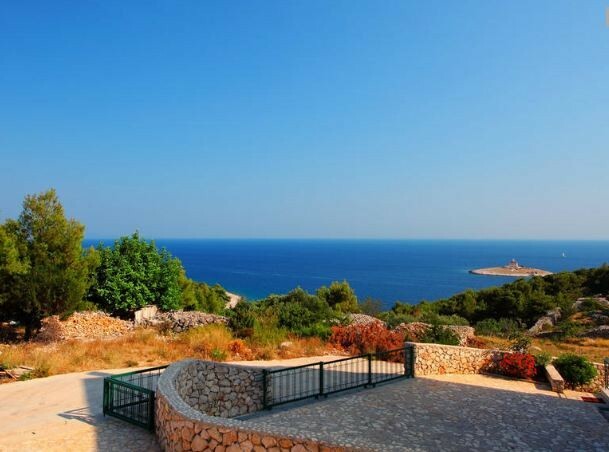 Sale of apartments in a desired location of the Krk island. The apartment villa with only six apartments is located among family houses aside from the touristic center and offers the desired calm and quiet atmosphere. The sea is only 70 m away. Each apartment has its own garden or terrace with a view of the sea. Standard apartment equipment also includes air-conditioning and floor heating. Due to the limitation of new developments by the sea, this is an exceptional opportunity to buy a new apartment located so close by the sea. A beautiful villa located directly on the shore, it has its own anchorage and a so-called sea pool, i.e. a bordered section of the sea exclusively for the home owner. The villa is completely furnished (4 bedrooms, 2 bathrooms, 2 dining rooms, workroom, 3 terraces) and is surround by a large garden with enough space for barbecue or parking. Construction of new buildings located 70 m from the sea is strictly limited by the Croatian authorities and the demand for real properties in the front line by the sea will increase in the future. 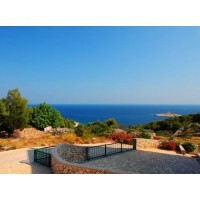 Therefore this is a unique opportunity to buy a house directly by the sea on the popular Korčula island. Not interested in any of these offered real properties? Look at other offered real properties in Croatia or contact us, and we will find a suitable real property for based on your requirements.